Following Arutz Sheva expose, Defense Ministry announces end to discrimination against reservists living in Judea and Samaria. Following today's exposure by Arutz Sheva (Thursday), the Defense Ministry promises that reservists living in Judea and Samaria will not face discrimination when they seek to benefit from the Hatzda'a ("salute") organization's special offers to reservists. The Defense Ministry said that "to the best of our knowledge, there were no cases in the past as described in the article, and if requests in the matter reach us, we will find the appropriate solution for them and for the benefit of reserve soldiers. In addition, if within the framework of the agreement with the supplier, it will not be possible to provide a service, we will demand this in the framework of the next tender." 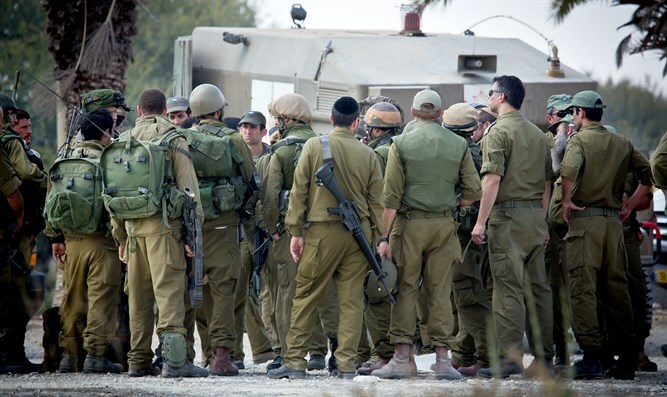 This morning, Arutz Sheva reported blatant discrimination against reserve soldiers and officers under the auspices of the Hatzda'a club, which works under the Defense Ministry to provide support to army reserve soldiers, who can obtain repair services for home electronic devices, including air conditioners, ovens, refrigerators, and washing machines at a reduced price. The significance of this limiting population condition is that reserve soldiers living in relatively small communities in Judea and Samaria will not be able to enjoy benefits as will reservists living in similarly populated agriculture-based communities and kibbutzim outside of Yesha. Following Arutz Sheva's exposure, the Defense Ministry promised that no reservist would face discrimination if he wanted to take advantage of club benefits. "The Hatzda'a club was established for the benefit of reserve soldiers and discharged soldiers in order to honor their contribution to the State of Israel, and the Ministry of Defense will continue to work for these populations with all the tools at its disposal." Deputy Defense Minister Rabbi Eli Ben Dahan (Jewish Home) said, "I salute all reservists, and without exception everyone is entitled to equal benefits. "I contacted the relevant officials in the Defense Ministry who promised that they would contact the company that provides the services and change the situation in which a resident who lives in a place of under 5,000 people is not entitled to club discounts with Hatzda'a," he said.